Shiloh E-News - allows you to receive emails regarding school events and information. Union County Public Schools will operate on a normal schedule May 1, 2019. 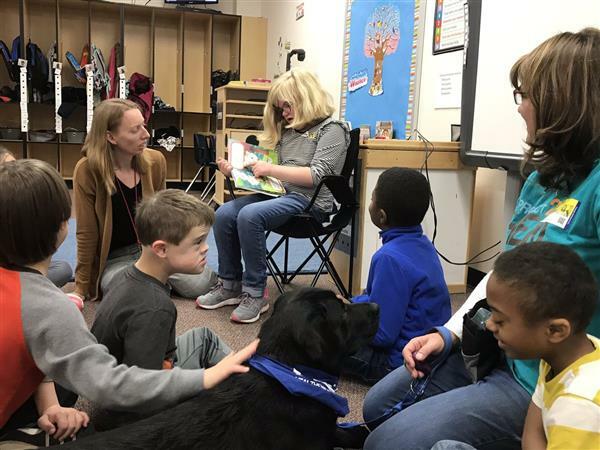 UCPS has partnered with the Union County Association of Educators (UCAE) and the UCPS Professional Advisory Council on a plan to send a delegation of teachers/staff, from each school, where possible, to Raleigh on May 1. As a forward thinking school system, several of the concerns raised by the NCAE have already been addressed by the Union County Board of Education and senior leadership through direct advocacy with state legislators. We want to thank our teachers/staff and the leaders of our teacher representative groups for their partnership as we work to maintain a school day that is focused on high-quality instruction in a safe learning environment. Shiloh is now on spring break! After today, April 12, Shiloh’s students will not return to school until Monday, April 29. Thanks students, staff, and parents for a great year so far! Enjoy your break, and remember to find time to read! We’ll see everyone back at Shiloh on Monday, April 29. Good evening Shiloh families, this is Mr. Spencer with a few announcements. First, thank you for a great week here at Shiloh. We had many exciting events take place this week. Most recently, we enjoyed our 1st grade and Orff performances last night. Great job, students. We are so proud of you! Thank you to parents, teachers, assistants, Mrs. Ladd, and Mr. Greene for your work with those groups. Today was Field Day! Thanks to Coach Roy for his work in planning and organizing this special day. Our students had a great time participating in the events, and it was a wonderful day for them. Thank you to the many parents who volunteered as well. Also, Shiloh sends special thanks to Sun Valley High School for sending members of the baseball team, swim team, volleyball team, and softball team to assist at our Field Day. Our students really enjoyed having the older students on campus, and this shows a great partnership with Sun Valley High School. Thanks to all of those coaches and to Principal Dr. Harvey for your support! Finally, our spring break has begun! That means that after today, April 12, Shiloh's students do not return to school until Monday, April 29. Thank you again to the Shiloh staff, students, parents, and school community for all of your support so far this year. Thank you, and have a good night. EOG testing will take place in May for students in grades 3-5. Makeup testing for absent students will take place May 17th-29th. You can help at home by communicating positive thoughts and a "can do" attitude with your child. Our school goal is for every student to show growth and we believe they CAN do it! You can also help by making sure they get a good night sleep and a healthy breakfast. In addition, please arrive on time to school on testing days, and let your techer know if your child will be out sick. Thank you in advance to all of our volunteer proctors who will be helping with testing. It takes a village! If you'd like to help please contact Mrs. Aldredge at jennifer.aldredge@ucps.k12.nc.us or at 704-296-3035. Good evening Shiloh families, this is Mr. Spencer with a few announcements. First, congratulations to our 3rd-5th graders for making it to the Elite 8 in the UCPS Books and Brackets reading competition! This is fantastic news! I am so proud of all the reading that our students have been doing, and equally thankful for the work our teachers have been putting into this as well. Our teachers have come up with creative and exciting ways to work in reading during the day. Thank you parents as well for your support. Final 4- here we come! Here are a few items in advance for you. Please note that progress reports will go home on April 10. Our annual field day will take place on Friday, April 12. Finally, Shiloh's two week spring break will take place during the weeks of April 15 and 22. That means that after dismissal on Friday, April 12, students at Shiloh will not return to school again until Monday, April 29. Thank you and have a good night. 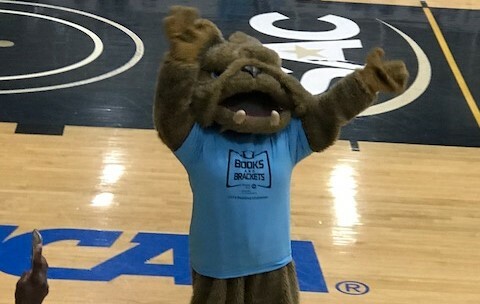 Shiloh was at the Books and Brackets final at Wingate University! As a member of the Elite 8 schools for the Books and Brackets Reading Challenge, Shiloh’s 3rd grade students were fortunate to attend the final celebration at Wingate University. The minutes are in! Sixteen UCPS elementary schools are now advancing to the Sweet 16 round of this year’s Books and Brackets reading challenge. 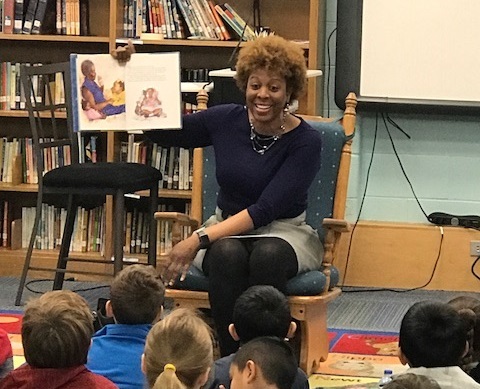 Shiloh celebrated Black History Month with our annual African American Read-In! We had guest readers throughout the day reading to every grade level.